George Omura is a licensed architect and Autodesk Authorized Author, with more than twenty years of experience using AutoCAD. As a CAD specialist, he has worked on projects ranging from resort hotels to metropolitan transit systems to the San Francisco Library project. Mr. Omura is the all-time bestselling CAD author. 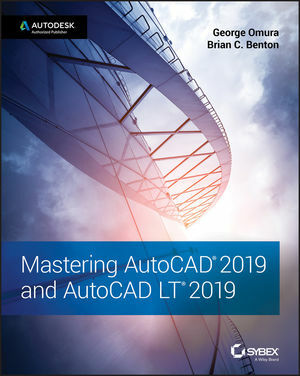 Brian C. Benton is a Senior Engineering Design Technician, CAD Service Provider, trainer, technical writer, and blogger with more than 20 years of experience in various design fields. He has been Cadalyst Magazine's Tip Patroller and writer and an AUGI HotNews Production Manager. He is a member of the Autodesk Expert Elite Program.